Electronic cigarettes, known as e-cigarettes or e-vaporizers (referred to herein as e-vapors) are battery operated devices that allow users to inhale an aerosol that contains nicotine. The vaping market has exploded in popularity in recent years. Currently e-vapors are the most commonly used tobacco product among pre-teens and teens in America. The manufacturers of these products have become frequent targets of enforcement actions by plaintiffs asserting violations of Proposition 65’s warning requirements. Enforcement actions against e-vapor manufacturers for violations of Proposition 65 have most often targeted a number of listed chemicals present in e-vapors (although e-vapors are known to contain numerous other carcinogenic chemicals). These include acetaldehyde, formaldehyde, and tobacco smoke, which are all listed as carcinogens, and nicotine, which is listed as a reproductive toxicant, on the Proposition 65 list. OEHHA’s guidance states that e-cigarettes contain nicotine (in addition to other chemicals) that are listed under Proposition 65 because they are known in the state of California to cause birth defects and other reproductive dangers. 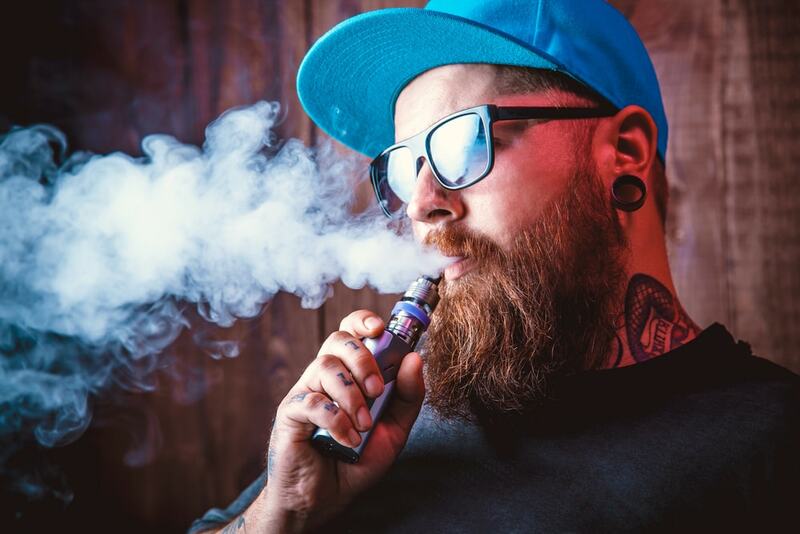 As of the end of 2017, approximately 150 60-day notices were sent to various e-vapor manufacturers for selling their products without consumer warnings in violation of California law. Between 2015 and the end of 2017, almost 100 allegations were settled for nearly $4 million in total payments of civil penalties and attorneys’ fees. The majority of these 60-day notices were issued by the Center for Environment Health (CEH), a nonprofit watchdog organization. CEH has initiated enforcement actions against e-vapor manufacturers based on the detection of listed substances in e-vapors or the assertion that the product will cause exposure to the listed chemicals referenced above. Health advocates have increasingly expressed concern about the levels of nicotine in e-vapors. Nicotine is known to cause reproductive harm and has been linked to problems with brain development when used by adolescents. The level of nicotine in e-vapors has been claimed to be inaccurate as these products are not subject to regulatory standards. Other chemicals present in e-vapors have also raised concern among health advocates. For example, formaldehyde is a chemical linked to the development of cancer. In addition, experts worry that little is known about the effects of inhaled propylene glycol, the primary ingredient in e-liquids.